NTK Marine specializes in the rental of boats – Cannes, Golfe Juan, Antibes and Nice on the French Riviera (06), sales of new and second hand yachts, and focuses on the brand VanDutch. NTK Marine is a company, in the world of boating, among the most renowned in the French Riviera. Located in the heart of Port Camille Rayon in Golfe Juan, NTK Marine is the exclusive reseller of VanDutch yachts, true day cruisers that offer a very comfortable cockpit. At the office in the port of Golfe Juan, NTK Marine is a permanent show room which allows us to present our new VanDutch models and our second hand boats. Our technical team, regularly trained to bring you the best possible service and total satisfaction in all the services for your yacht, also works with many partners from the nautical environment. 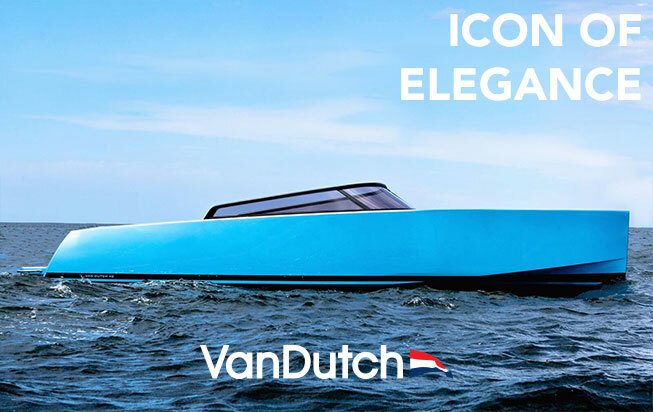 Exclusive dealer of the VanDutch brand, NTK Marine also sells and rents out second hand yachts throughout the French Riviera (Cannes , Monaco, Saint-Tropez), to relax with family and friends, or maybe even organize a wedding on a yacht, a successful event for unforgettable memories ! Yacht Charter, Brokerage and Yacht Management, the entire NTK Marine team puts a point of honor to providing all assistance necessary to the success of your project, thanks to its experience in the world of luxury yachting as well as its unique and innovative vision.